This cabinet card is a rare image of Victorian era magicians. 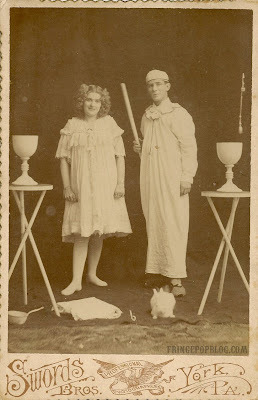 Notice the costumes, props, and the white rabbit. The identities of these performers are not known.